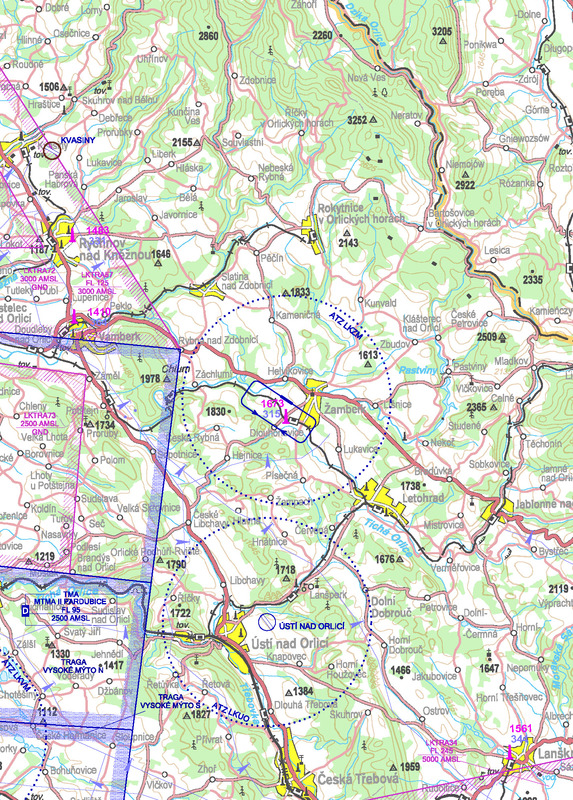 Do not carry out flights below height 980 ft/300 m GND over the town Žamberk. MTMA Pardubice 6 km W.
1.1Snow clearenace of movement area is not provided. RWY 31 left hand traffic circuits. The traffic circuit altitude is 2620 ft/800 m AMSL. 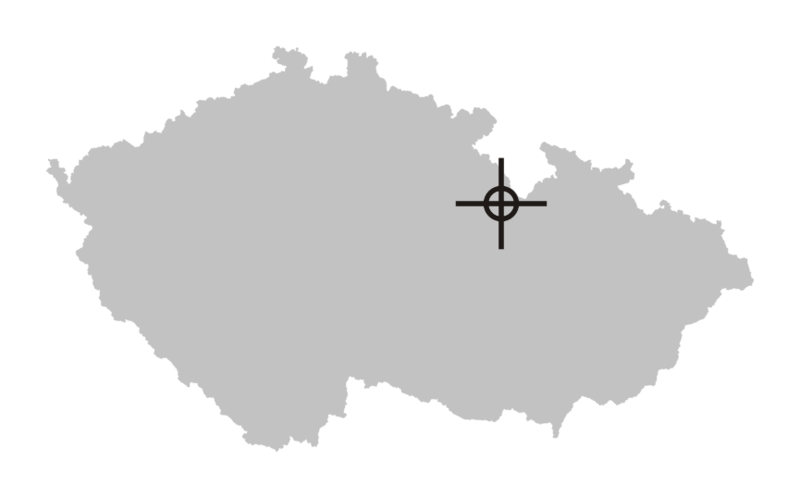 1.3Do not carry out flights below height 980 ft/300 m GND over the town Žamberk. 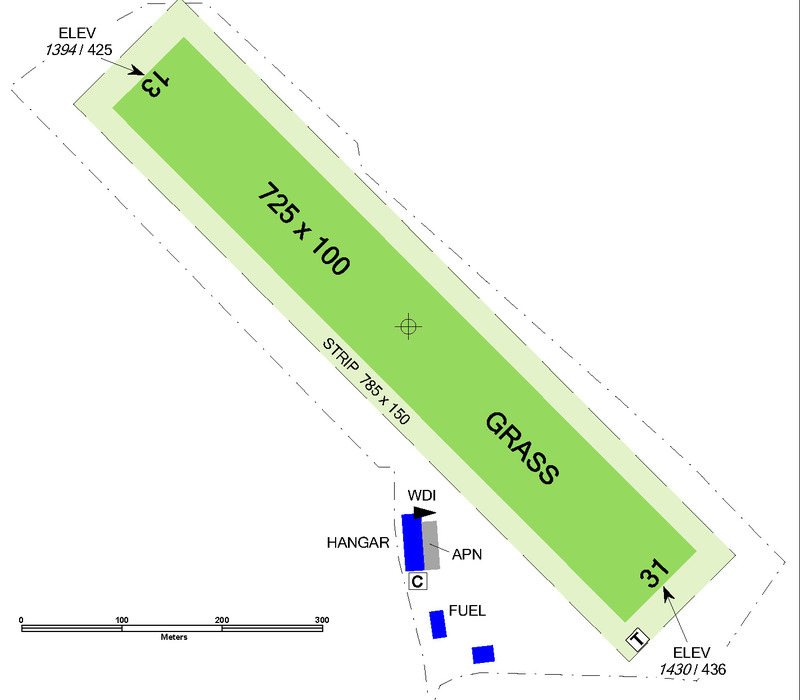 1.4MTMA Pardubice 6 km W.
1.5The roads in both CWY shall be overflown during take-off and landing at least 15 m from the lowest part of the aircraft or towed object.